Apprehended Violence Orders, “AVOs”, offer protection against acts of violence. At George Sten & Co, our AVO lawyers protect their clients by giving expert legal knowledge. 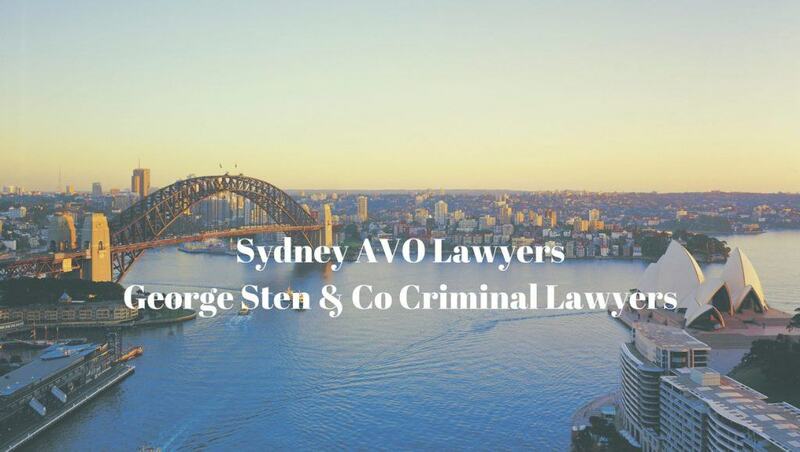 Operating for over 50 years in Sydney’s CBD, George Sten & Co are approachable and accessible lawyers. Matters concerning AVOs are urgent in nature. We encourage our clients to contact us on 9261 8640, and we are available 24 hours a day on 0412 423 569. It is strongly recommended to seek legal expertise in deciding whether to issue an AVO or consent to an AVO made against you, and especially once court proceedings start. George Sten & Co have decades of legal proficiency and extensive courtroom experience. Be assured your legal rights are protected with us in your Apprehended Violence Order hearing. Call 9261 8640. When can a court issue an Apprehended Violence Order?